At last I managed to have a solo exhibition, after two months of intense painting, my show opened at La feuille d'or on 21st Oct 2009. 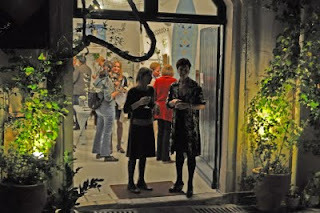 The opening night seemed to be a success, with over two hundred people passing through, I was happy yet nervous, it is the first time I have publicly shown my personal paintings since 1984. 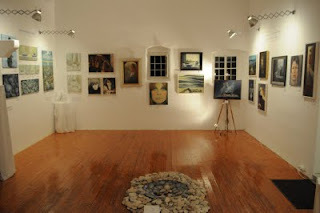 Here are a few of the paintings and a couple of pics from the opening. Btw, I would never have been able to do this without the help and support of good friends. Thankyou everybody. I love, love the water over the rocks! Those paintings are really nice!